A special treat awaits us this evening as we proceed to witness the strength and vigor of Kathakali dance drama, as it enacts episodes from great Indian epics. The extremely stylized gestures, the elaborate make-up, the masks and the splendid costumes of these all-male dancers, recreates an incomparable sense of pageantry. Overnight at a 5* Hotel. After breakfast we will drive to Kumarakom. Upon arrival check in to Coconut Lagoon, this has rightly carved its place among the top 10 heritage resorts of the world. The resort is on a small island and can be reached only by boat. The accommodation consists of individual cottages built in the traditional Kerala style, relying heavily on wood and some with private pools. 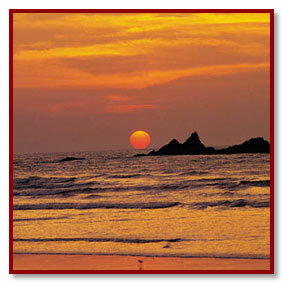 Days reserved for to participation in the Rejuvenation ayurvedic therapy. You could also choose to explore the surrounding tribal villages, visit the nearby water bird sanctuary or ride through the narrow backwater channels through back of beyond Kerala. Meeting and assistance upon arrival, check into hotel Travancore Heritage a very fine Ayurvedic SPA located right on the beach. 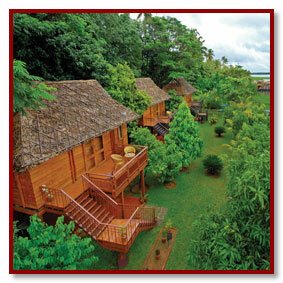 Upon arrival, we will enroll for the 7 night Relaxation package which the resort offers under expert guidance. Days are to undertake the Relaxation treatments at the SPA. You would also have opportunities to participate in Yoga and meditation classes. All meals and Ayurvedic treatments are included in your package.